Forum headcount please. Who’s still here? This topic has 266 replies, 147 voices, and was last updated 11 months ago by CountZero. 40 replies only 9400 to go. To be fair, at least 8,999 of those are registered to one IP address in East Lothian. Yep, count me in. Occasional poster and occasional rider. Fred, who is playing Fred these days ?? We all played Fred. It was too easy. I am, well I’m not.. but I am… I think…. There’s a Fred re-enactment society, Friends Roleplaying Educated Dorks. We get together once a month, pretend to support Liverpool and frotter ourselves against tower blocks. Not the same, but it keeps the flame alive. So now STW is a homeopathic cycling forum? 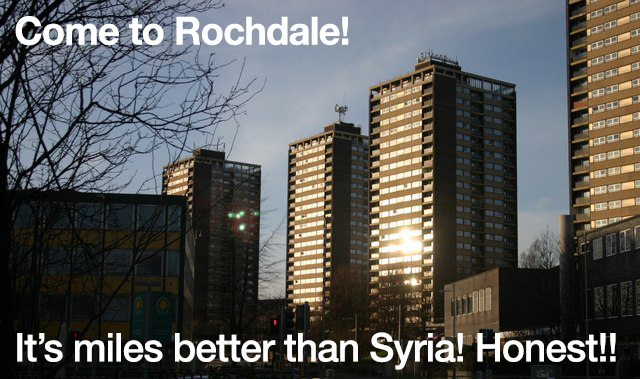 frottage ourselves against tower blocks. Ooooh! I love a tower block, me! I’m in. Fred me up. Quick question, how many y’s should there be in the word fan? No, I’m just a bit grumpy but basically nice. Corner balconies and a top floor drying room???!!! It’s not that bad, apart from the mad Pole downstairs who keeps nailing my mate’s door shut in the middle of the night….. I came in here by accident, looking for my unicycle. I’ll be off now. Bye. This thread smells of cabbage with a whiff needy despair. Jamba reckons he’s not banned just not bothered logging in for 3 months after an argument on the brexit thread. He says the same goes for THM. THM was apparently direct messaging people on the brexit thread about his views on their posts. Can’t see why he’d do that if he could just make his point on the forum. Almost time for another Der Untergang meme… some good content in here methinks. Not that I’m a big poster but I’m here. I think it’s still a good place to be despite some of the more recent…erm…features. Some nice people, good advice and the occasional rant just for good measure. Am I the only one that wants to hear more about this? There hasn’t been a ‘Neighbour’ thread for at least nine days. Do we still have ‘bed wetters’? I haven’t seen one for a while. Like many of the names in the thread that I don’t recall ever seeing I’m mostly a lurker with the occasional post, but I can’t be arsed with getting to any sort of argument so 90% of threads have descended in to no-go terrirtory for me by the time I read them!